The regions of Pleven and Olt (Romania) are launching the implementation of a cross-border cooperation project in the field of alternative tourism, BTA cites project manager Stiliyan Vurbanov. The objective is better utilization of the natural, historical and environmental resources of the two neighbouring regions located on both sides of the Danube, Vurbanov pointed out. The partnership features the Perpetuum Mobile Foundation, the Pleven Regional Governor, the Chairman of Olt's District Council and the information service centre in Pleven. Seven municipalities on both banks of the Danube are taking part in the project - Dolna Mitropoliya, Iskur, Goulyantsi and Nikopol on the Bulgarian side and Corabia, Vals and Visina on the Romanian one. 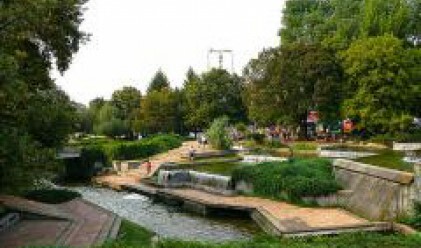 The objective is that the non-governmental organizations help improve cooperation between the institutions in the two regions and create new tourist packages, publish a new tourist catalogue in Bulgarian and Romanian with fresh opportunities for tourism, cultural recreation and entertainment on Bulgarian and Romanian soil. They will be prepared by experts after preliminary investigation of the environment, history, natural, cultural and historical sites on the two territories. The project will end with the creation of a common strategy for the development of alternative tourism, Vurbanov added.